Should you register your poodle? While dog registration is an individual choice, we decided to register Holly. By registering your poodle pup, you have proof that she is a pure bred poodle. Because we decided to register Holly, we had to choose a name fit for the queen that she was. We chose Holiday Sunshine which was very fitting. If your dog is registered, you can also breed her and show her in dog shows. If your new family member will just be a member of your pack and a companion, it's not necessary to register her if you don't want to. We wanted to. You get the application to give her a registered name from your breeder. It's an American Kennel Club registration application which both you and the breeder sign. The United Kennel Club also registers poodles. To register your pup with the AKC, fill out the form from your breeder and mail it to the AKC with the fee. You can also register online. She must be registered before she turns 1. Full registration has no owner restrictions. Limited registration does not allow you to register any puppies of your poodle with the AKC. The AKC sends you a registration certificate. A certified pedigree is available for a fee listing your pet's great grandparents, grandparents and parents with their titles, color, and their DNA number (if tested). If you didn't get registration papers, you can get an ILP (indefinite listing privilege) application from the AKC which allows your poodle to compete in performance dog show events in dog shows. You'll need proof that your dog has been spayed or neutered. The UKC registration forms are also obtained from your breeder, and your puppy needs to be registered before 1 year of age. There are other documents you should get from your breeder. 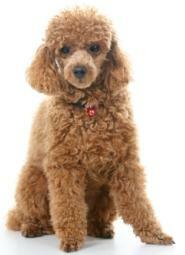 If the breeder doesn't have the information, you may want to purchase a poodle from another breeder. You need your puppy's medication records with the dates, worming records, a vet signed health certificate attesting that your pet is healthy, and ancestry information listing your pup's lineage. Optional documents, but ones you should seriously consider, include a spay or neuter agreement and a return agreement that states you will return your pet to the breeder, and not an animal shelter, if you cannot keep your poodle. Buying a poodle from a breeder allows you to ask questions, get help with your dog registration and get the important papers you'll need to have for your pet as the years go by.